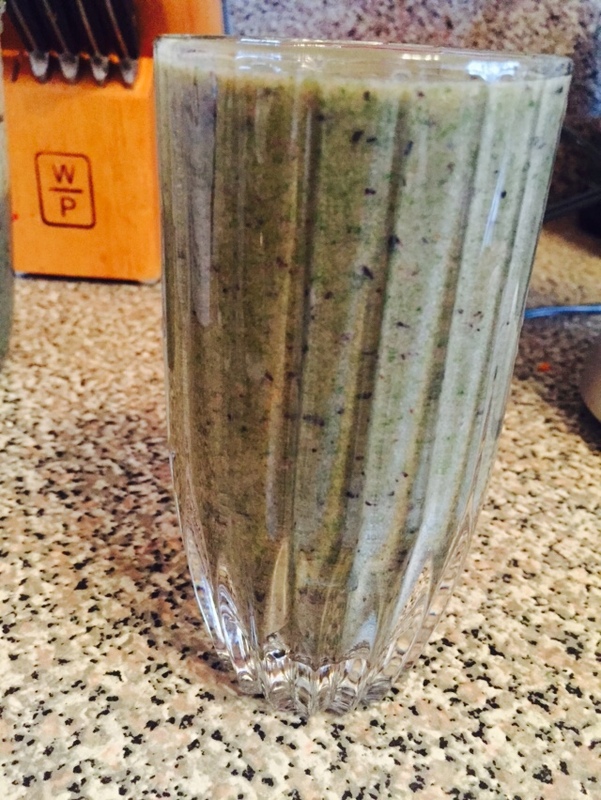 This drink provides a source of antioxidants (blueberries), vitamin A + K (spinach), potassium (banana), and vitamin C (pineapple)! Enjoy! 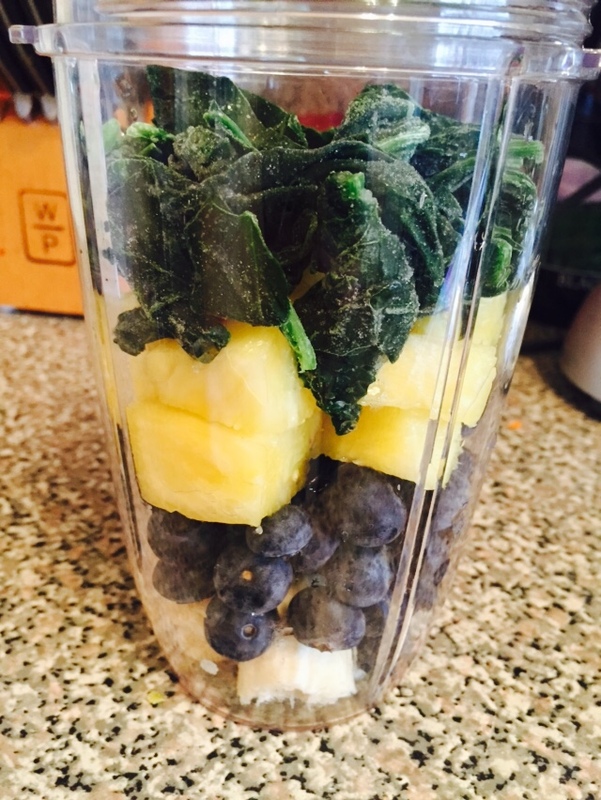 Combine all in a blender with water and enjoy!